There are already 15,000 5G base stations deployed in Seoul, South Korea. By the April 5th the number of 5G base stations in whole of the South Korea will reach 30,000. The 5G base stations are being deployed in areas where there are large concentrations of people, such as 464 universities, shopping malls and department stores, subways, landmark buildings and parts of mountainous areas, as well as major express ways and railroads. It is planned that the 5G network will be set-up in 85 major South Korean cities by the end of the 2019. How fast the service on 5G will be? KT and Samsung Electronics successfully achieved 1Gbps speed over the air using KT 5G commercial network in Seoul. 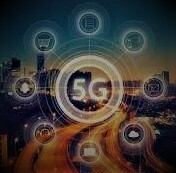 KT used its 5G commercial network using 3.5GHz frequency deployed in Gwanghwamun, Seoul, which comprised of Samsung’s 5G NR network products including 5G radio and virtual core (vCore) supporting both 4G/LTE and 5G simultaneously, and 5G smartphone (Galaxy S10 5G). The two companies focused on providing end-users with real-world outdoor mobile experiences, achieving overall 1Gbps speed on 5G smartphone connected to 5G commercial network. South Korean mobile operators started accepting pre-orders for Samsung’s first 5G smartphone (Samsung Galaxy S10 5G smartphone), which supports both 4G and 5G networks. The Galaxy S10 5G 512GB is available for KRW 1.55 million (approximately USD 1,320), while the 256GB variant costs KRW 1.39 million. The official launch of the commercial 5G service in South Korea is scheduled for April 5, 2019.